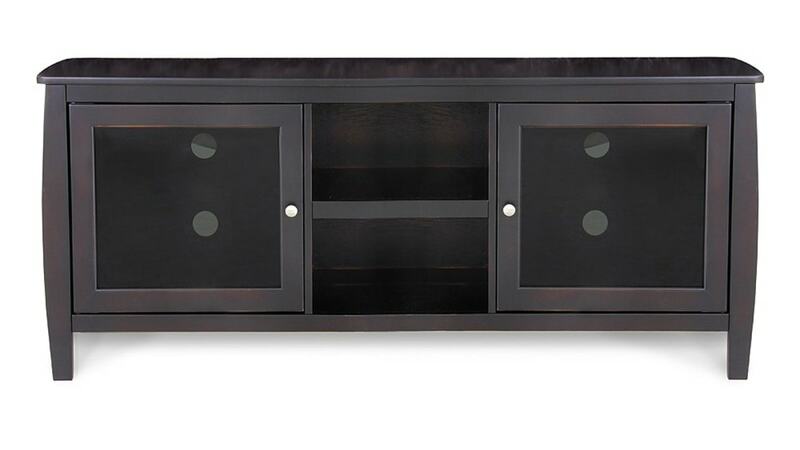 Quality American construction will welcome you home, when you have this mocha-colored TV console. A slightly bowed design gives the console a unique look that will fit right into your entertainment area. This design has a deep color and nickel-finished hardware to provide a stylish contrast. The TV console features removable tinted glass, center shelves, and easy-to-open, push-front doors, providing plenty of extra storage space. The split design features a shelf on each side of the open center shelves, so you can keep all of your movie-night essentials on display. Easily keep wiring and cords out of sight to create a put-together look. This American-made console puts quality into every inch. Rich brown wood exhibits a sophisticated, dark finish, accented by nickel knobs. Two glass-front cabinets allow you to easily check on your media devices. Two shelves add extra storage to the center. Media cutouts provide organized spots for wires and cords. Now you truly can have it all: style, practicality, and quality. Take one glance at this American-made TV console, and you'll never want to buy imported again. Your money goes toward quality construction, instead of having it shipped across the globe, and it pays off. 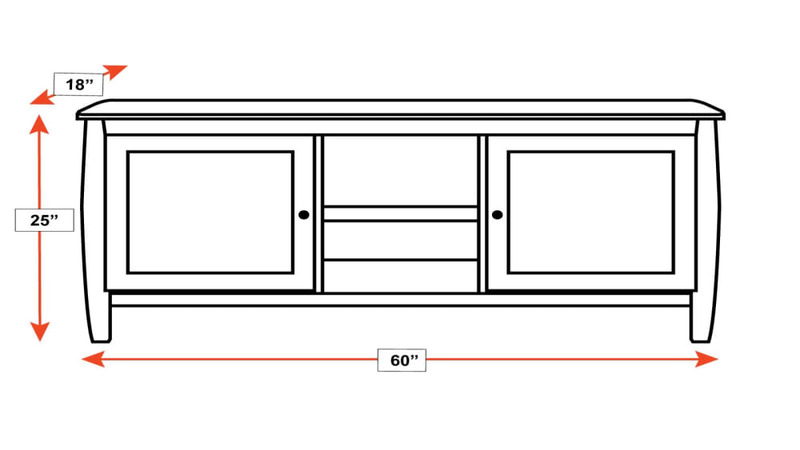 If you order this TV console TODAY, Gallery Furniture will deliver to your home TODAY! Amazing convenience and unbeatable style.